DST Group researcher in the ANZAC Combat System Integration Laboratory. ACSIL is a replication of an ANZAC class frigate operations room. 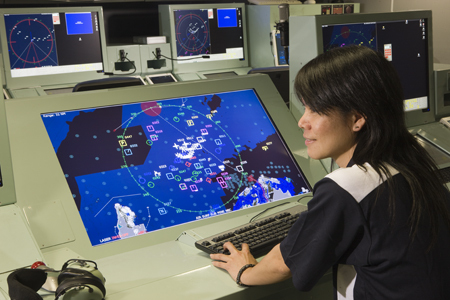 It provides a capability for operator-in-the-loop exercises using the ANZAC Combat Management System software in a simulated environment to explore capability integration, tactics and human-related issues for the Royal Australian Navy’s (RAN) surface fleet.